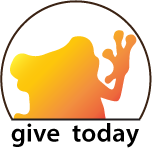 We rely on donations to run AmphibiaWeb! Your gift helps amphibian conservation by supporting the AmphibiaWeb site. We are a non-profit (US 501(c)3), educational project providing public, global access to information on amphibian declines, conservation, natural history, and taxonomy. We are also a collaboration, relying on volunteer efforts from many scientists, students, and individuals around the world. We seek funds to pay for our part-time programmer as well as ongoing costs such as hardware and maintenance fees to keep the lights on. Donations can be made securely online by credit card to the Friends of AmphibiaWeb fund through the University of California, Berkeley. You can make recurring donations from a credit card or one-time donations. Each and every gift will be acknowledged and appreciated! You may also contact givetocal@berkeley.edu if you have questions about how to make donations. Thank you for supporting AmphibiaWeb and amphibian conservation!